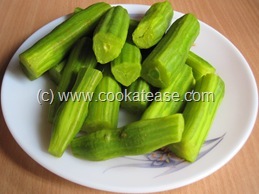 Drumstick is the commonly used vegetable in south Indian cooking. 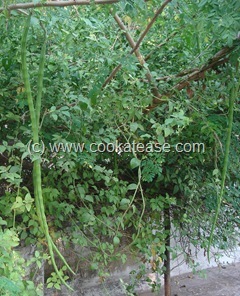 Drumstick tree can be found in most of the south Indian homes. 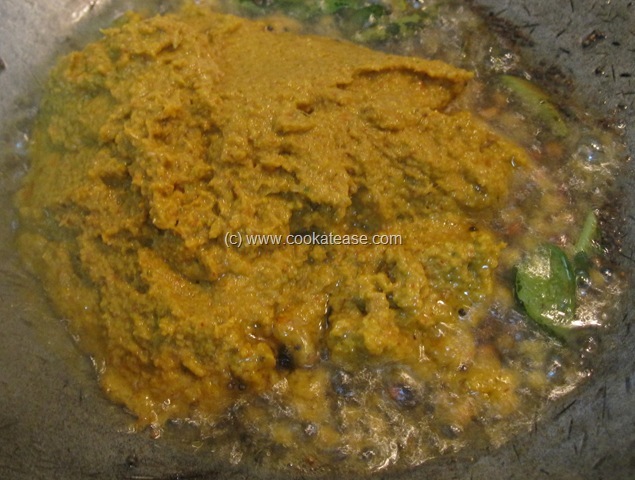 It is cooked solo or combo with other vegetables. Drumstick has a nice flavor and tastes better when cooked with spices. 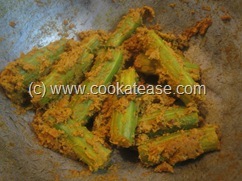 Here is Spicy Drumstick Stir Fry (Murungakkai Masala) that can be served as side dish. It is delicious when mixed with steamed rice. 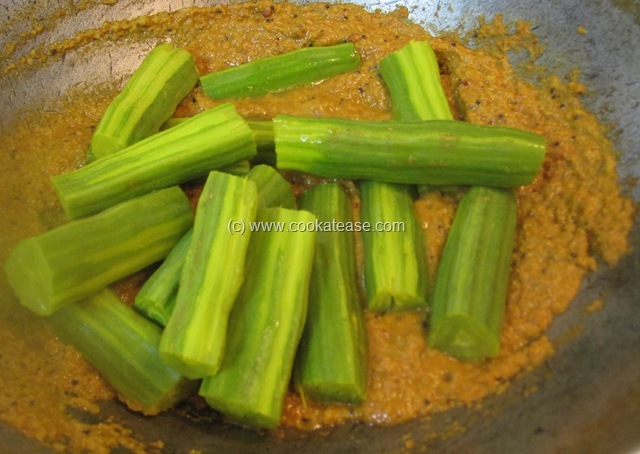 Drumstick is known as Murungakkai in Tamil. 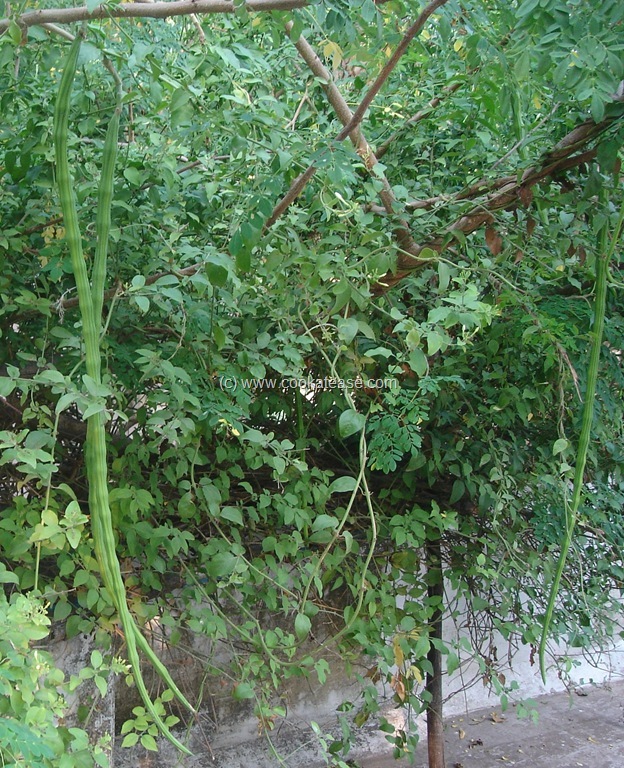 The photograph below right shows the drumstick tree of a south Indian home. 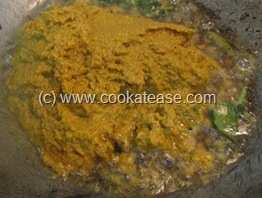 Half-cook washed and cut drumstick pieces with little salt and turmeric powder in boiling water. 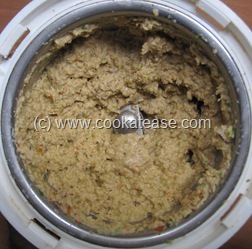 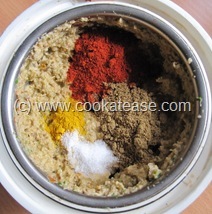 Grind all ingredients given for grinding to a smooth paste in two stages as shown. 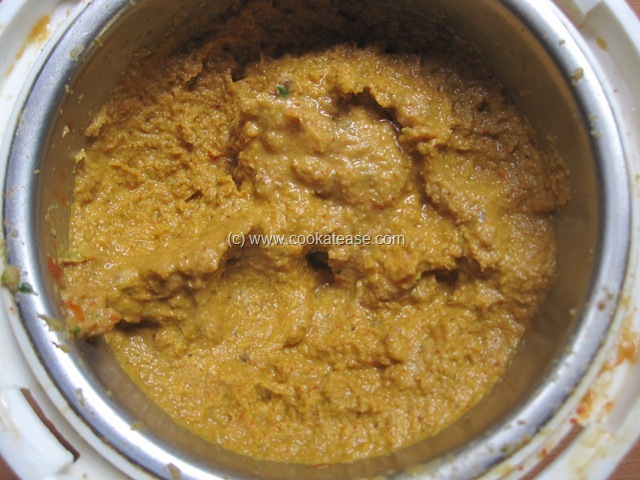 Do seasoning, add the ground masala paste and fry for few seconds. 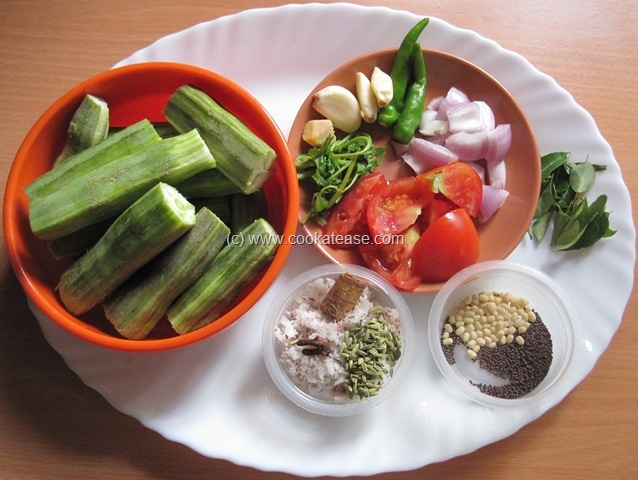 Add little water, boil and add half boiled drumstick pieces; cook in low flame till the masala is roasted and drumstick is cooked fully. Here is a split open drumstick piece (most of the people who is not aware of drumstick simply treat this as waste when served; the fleshy part inside the split drumstick including the tender seeds taste nice). 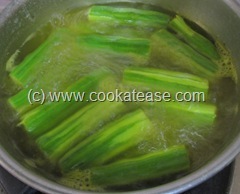 I normally cut drumsticks into approximately 2 inch long pieces. 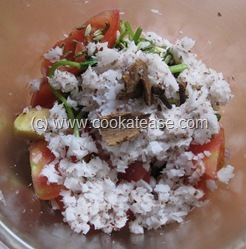 While cutting into pieces, I remove the skin that peels off freely. This helps to cook drumstick faster. 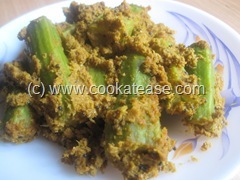 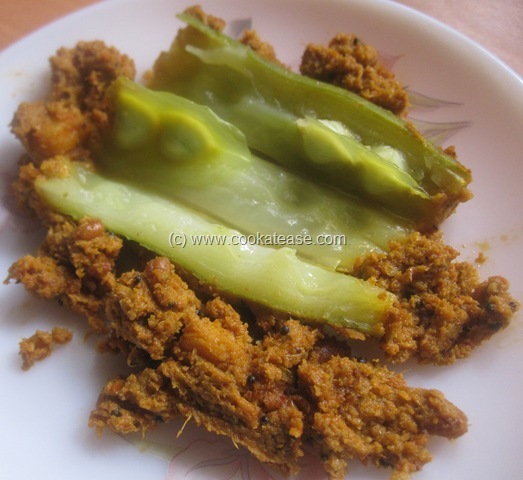 I prepare almost the same but i used to add few brinjals along with the drumsticks…looks yummmyy! 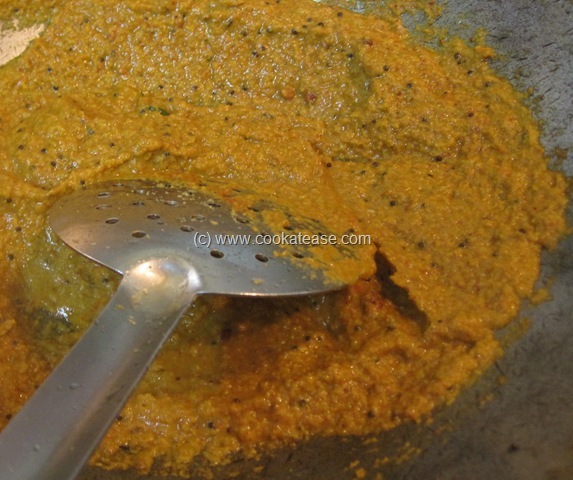 Murungakkai masala looks really nice, i miss them here. I tried today and it came out very well and taste was awesome.. 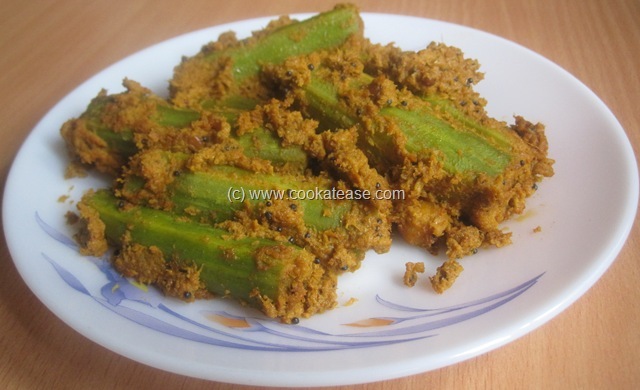 Thanks for the wonderful recipe.